Andrew and Peg arrived by motorcycle yesterday afternoon. We all walked downtown and toured the harbor. 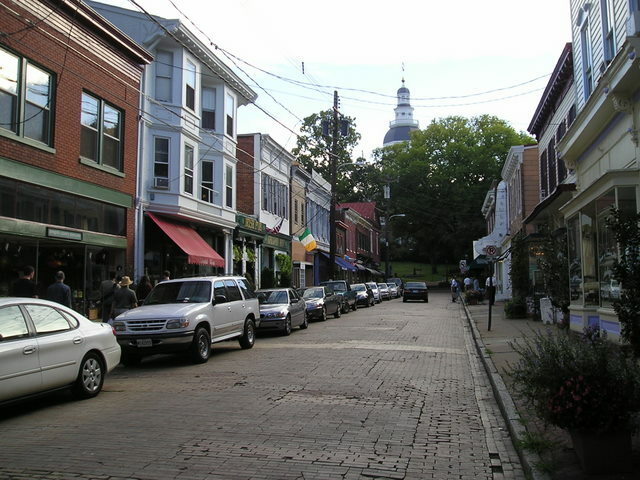 Annapolis is home to a number of 100' megayachts. The public harbor was bedlam with tourists and boats. The city dock is not the place to tie up on a holiday weekend unless you like having a big crowd around. The old town area is beautiful with many restored homes and buildings. 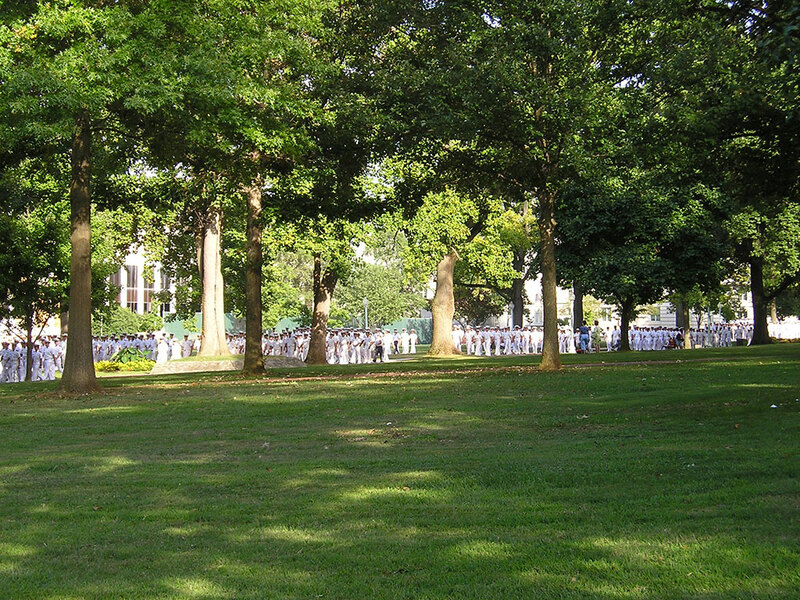 The US Naval Academy occupies a large portion of the city and it was football day. All the sailors dressed in whites and marched to the stadium accompanied by bands. We were allowed on the campus by showing some identification. Today after Andrew and Peg left for Nashville we took the water taxi back to downtown. It was windy and rough. One gets a different perspective on the wave height when you are down close to the water. I toured the Naval Museum and walked around the state capital. Mavis went shopping in the many stores on Main Street. 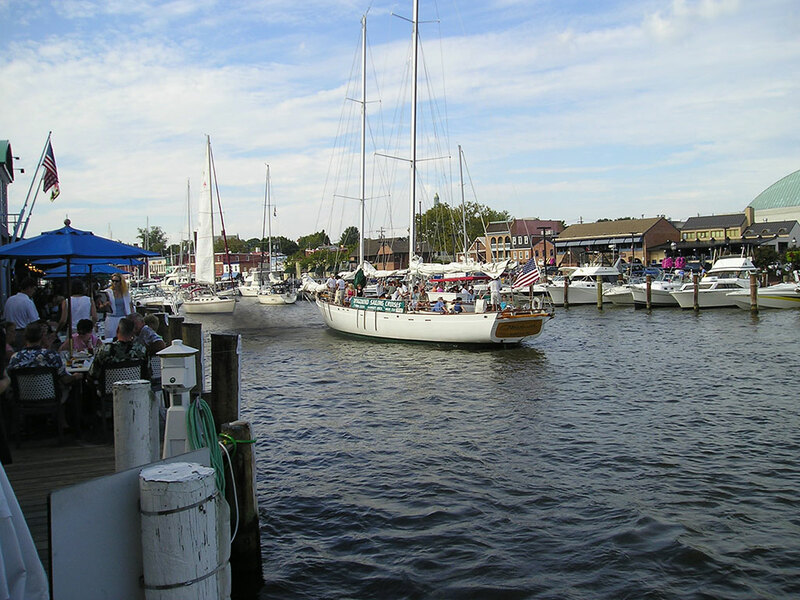 Tomorrow we will head for Chesapeake City on the CD Canal. The weather seems to be holding with Francis stalled over Florida.